[Share] Full Skin UpTin 2018 Responsive. 1. [Share] Full Skin UpTin 2018 Responsive. 2. Re: [Share] Full Skin UpTin 2018 Responsive. 3. Re: [Share] Full Skin UpTin 2018 Responsive. 4. Re: [Share] Full Skin UpTin 2018 Responsive. 5. Re: [Share] Full Skin UpTin 2018 Responsive. 6. Re: [Share] Full Skin UpTin 2018 Responsive. 7. Re: [Share] Full Skin UpTin 2018 Responsive. Được sửa bởi Karbyz49 ngày 15.04.18 22:08; sửa lần 1. 8. Re: [Share] Full Skin UpTin 2018 Responsive. 9. Re: [Share] Full Skin UpTin 2018 Responsive. 10. Re: [Share] Full Skin UpTin 2018 Responsive. 11. Re: [Share] Full Skin UpTin 2018 Responsive. 12. Re: [Share] Full Skin UpTin 2018 Responsive. 13. Re: [Share] Full Skin UpTin 2018 Responsive. 14. Re: [Share] Full Skin UpTin 2018 Responsive. Bác Móm có thể gửi qua googledrive được không ạ (file word) ? 15. Re: [Share] Full Skin UpTin 2018 Responsive. @Metal ﻿đã viết: Bác Móm có thể gửi qua googledrive được không ạ (file word) ? 16. 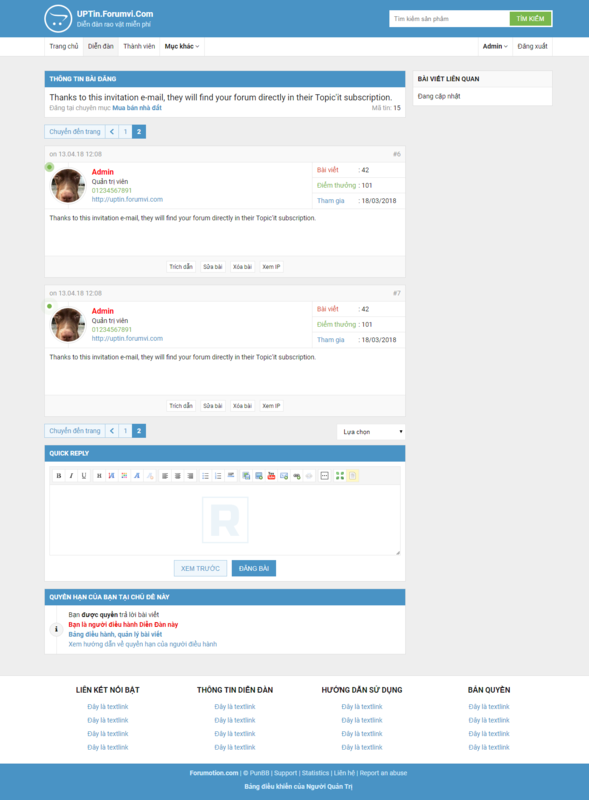 Re: [Share] Full Skin UpTin 2018 Responsive.